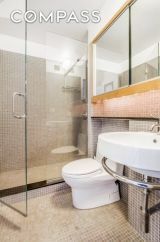 Impeccably designed, high-floor corner one bedroom home in a Chelsea's premier full service doorman condominium. With jaw dropping, full city, Empire State and Chrysler Building views from TWO exposures, this architecturally re-designed unit misses nothing! Literally turn-key home comes FULLY FURNISHED and features every imaginable bell & whistle including custom built-in cabinetry, sliding panel wall, black honed granite island, sub zero fridge & freezer, Bosch DW, large closets and customized lighting and sound wired throughout. 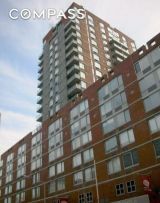 All in Chelsea's most established full service luxury condominium, the Grand Chelsea. Shops, gyms, markets, restaurants & nightlife entertainment  it is all outside your doorman door. Sorry, no pets.